We manufacture a variety of dual- and tri- durometer extruded seals such as trim seals, edge seals, bulb seals, bubble seals, hatch seals, flap seals, and others, with a focus in automotive seals. 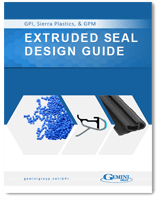 Ready to take your extruded seal project to the next level? We’re not just a manufacturer, we’re a partner in engineering. We take a DFMA approach to everything we do. This allows us to simplify, re-engineer, and drive cost out of your extruded seal, all while maintaining or improving its form, fit, and function. The result? Elegant, multi-function, reliable seals designed for lean assembly. We know the industry. With dozens of OEM and Tier 1 customers across the globe, we’re more than capable of meeting and surpassing tough quality standards, delivery demands, and budget constraints for high-volume orders. Our automotive seal customers are well-served by our strategically-located manufacturing and logistics facilities across North America. From the ground up, we get it right for our customers. If your seal design can’t be matched to an existing extrusion profile, we’ll design and build the right tooling, in house. 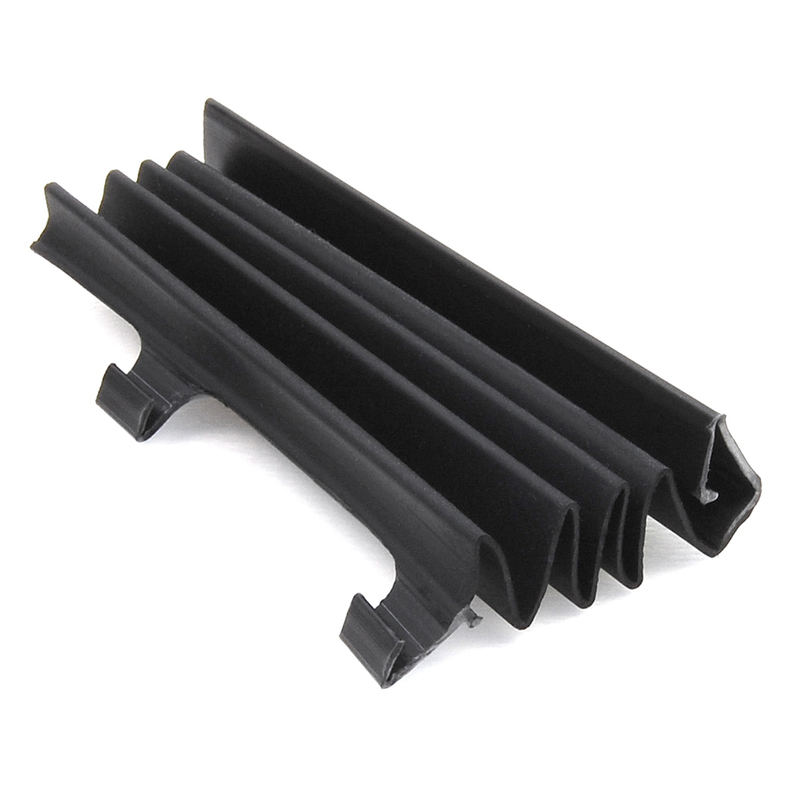 This includes prototype and production extrusion dies, trim and fabrication tools, fixtures and gauges, and anything else to assist in optimal design, manufacturing, and performance of your custom extruded plastic seal. Complex sealing challenges don’t require complex solutions. In fact, we can achieve multiple characteristic properties by combining two or more materials in one step using co-extrusion. We can apply tape, flock, and slip coat to your seal right on the extrusion line, reducing the need for secondary processes and operations. Welding, insert/over molding, and other secondary operations for your seal are done in-house to reduce lead times and non-value added costs such as shipping to another facility. As a Women’s Business Enterprise National Council (WBENC) certified minority-owned business, we proudly contribute to our customers’ supplier diversity programs. Our extrusion simulation software allows us to balance the material flow before any tooling is cut. This reduces the number of tool iterations, allows for a quicker completion of production tooling, shortens your time-to-market, and ultimately saves on manufacturing costs. We’re armed with an array of testing equipment to ensure that you receive consistent, reliable, high-quality products that meet your specifications and regulations. Typically, the more complex the seal, the more expensive it will be to engineer and manufacture. Features such as hollows, semi-hollows, narrow die sections, non-identical thickness, tight tolerances, and living hinges should be avoided whenever possible. Any change to the quoted seal design can result in increased cost, especially if it happens after the initial tooling has been built. For this reason, we conduct extensive feasibility testing and simulations for our customers before the manufacturing process begins to minimize the risk of expensive design changes. There is more to tooling than the extrusion die itself. Of course, the more complex the die the more expensive it will be to make, but you should also consider the cost of any trim or fabrication tools you’ll need after the initial seal is extruded, as well as fixtures and gauges to support the seal during secondary operations. Gemini Group lives in the automotive world; it’s woven into our culture. We have all the certifications, we build value into every product we produce, we have experience shipping over 600 million parts a year … we have the commitment it takes to engineer and manufacture a successful automotive seal. Gemini is proud to present to you the cumulation of over 45 years of experience in extrusion. We’ve helped thousands of automotive engineers just like you with seal design – and this guide truly is the next best thing to working directly with our seals team. When a Tier 1 OEM supplier had a U-channel seal fail just weeks before delivery, Gemini Group’s extrusion division stepped in to help. Five days later, the customer had a part with improved performance and reduced cost. More importantly, they had a part that actually worked. The challenge: The incumbent supplier’s seal didn’t set right. The walls of the U-Channel were collapsing and causing undue friction and squeaking. With a delivery date looming just weeks away, there was no time for a new design. The solution had to come from within the manufacturing process. The solution: Through our testing and troubleshooting process, we identified a flaw in the incumbent supplier’s material choice. 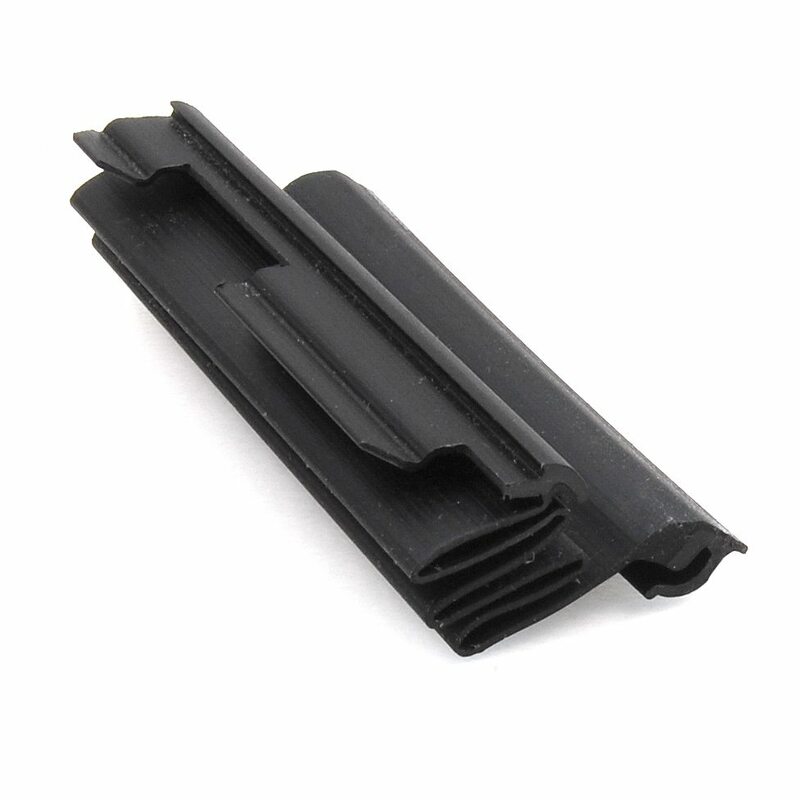 So we proposed a better grade of material that would perform given the current profile design. In the span of five days we built the tooling in-house, completed a small production run, and delivered a dozen parts that actually worked. Never approach an extruder without knowing what types of materials will work for your part. At the very least, you need a basic understanding of extruded material characteristics. If you don’t know where to start, download a copy of our Extruded Material Selection Questionnaire. Don’t allow an extruder to push you into their pet material. Make sure the material you choose is best for your part, not the extruder. If you’re unsure of an extruder’s experience working with a material, ask for samples of their past work that are similar to your design. With over 5,000 extrusion profiles under our belt, we recognize that material selection is the most critical element in seal design. 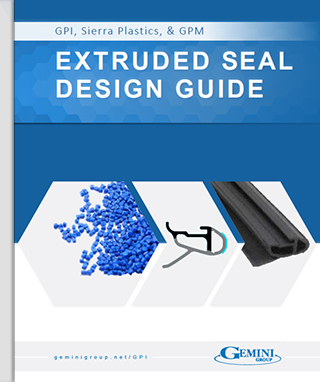 That’s why we’ve created the Extruded Seal Material Selection Guide. Because sometimes even the simplest things are the hardest to get right. Blooming: A phenomenon that occurs when compounding agents in rubber migrate, or bloom, to the surface, causing a dusty or milky looking film. 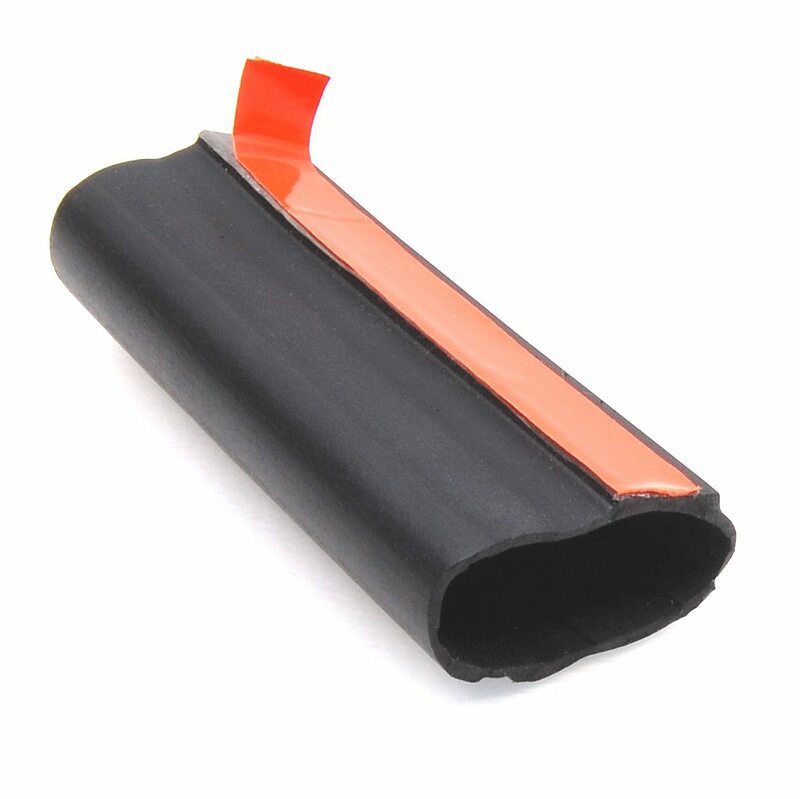 This is due to the agents’ limited compatibility with the rubber elastomer and affects the tensile strength, adhesion properties, and appearance of your part. Slipcoat: A non-drip lubricant applied to the surface of seals to reduce friction and increase surface smoothness and abrasion resistance. Flock tape/spray: An adhesive tape or with a non-woven coating on one side or an adhesive non-woven spray that is used to reduce friction between two surfaces or reduce reflection. Hollow: A hollow area, usually ¼” to 5” in diameter, in a profile design made by placing a pin or mandrel inside the die. Durometer: A measurement usedto indicate the hardness of a material, defined as a material’s resistance to permanent indentation. Compression set: The permanent indentation remaining when a force that was applied to a material is removed. There are two ways to measure compression set: Compression set A measures the materials thickness before and after pressure is applied. Compression set B measures the material thickness after the material is compressed to 25% of its original height. Insertion/extraction forces: The forces applied to the seal during assembly and disassembly in its final application. 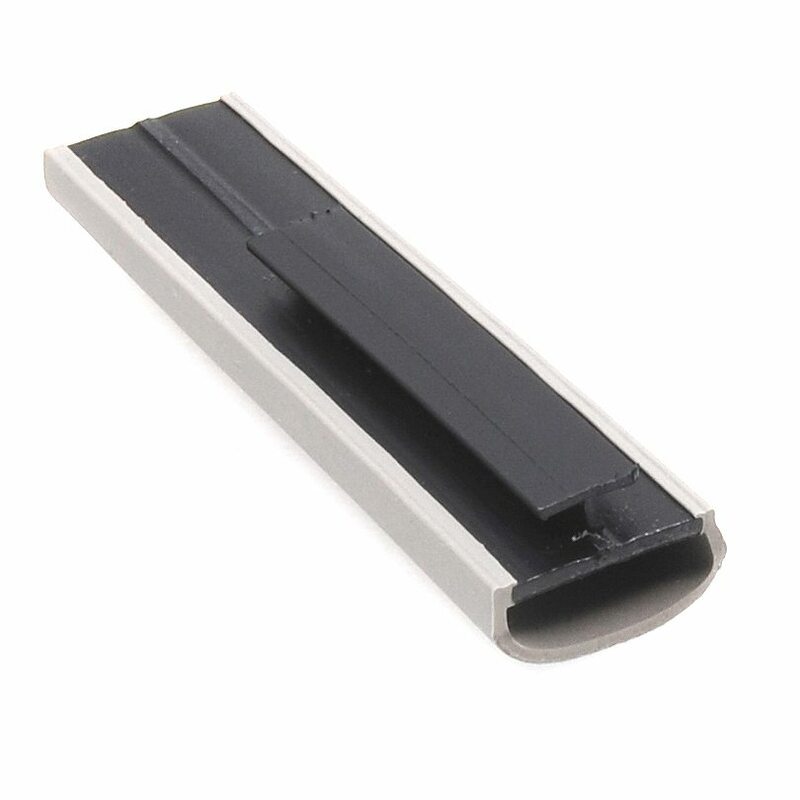 Insert molding: Molding one material (plastic) around another (metal) such that the final component is single unit with reduced assembly and labor costs, reduced the size and weight of the part, improved component reliability, and improved part strength and structure with enhanced design flexibility.